As a result of new construction, there is a stretch of road in Elk Grove that could be hazardous, particularly for bicyclists. 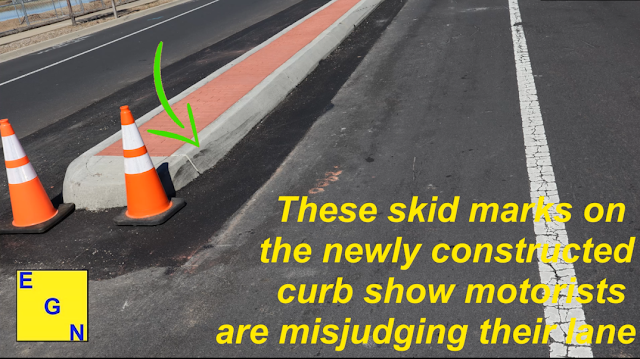 The city's public works department or perhaps the newly the formed Innovations office could address this situation before a bicyclist is plowed down or vehicles extensively damaged. As off Thursday, March 21, the hazard on Stockton Boulevard has been addressed. Orange cones have been placed in front of the curb and the incorrectly spaced white lane line has been covered in black paint. See video below.